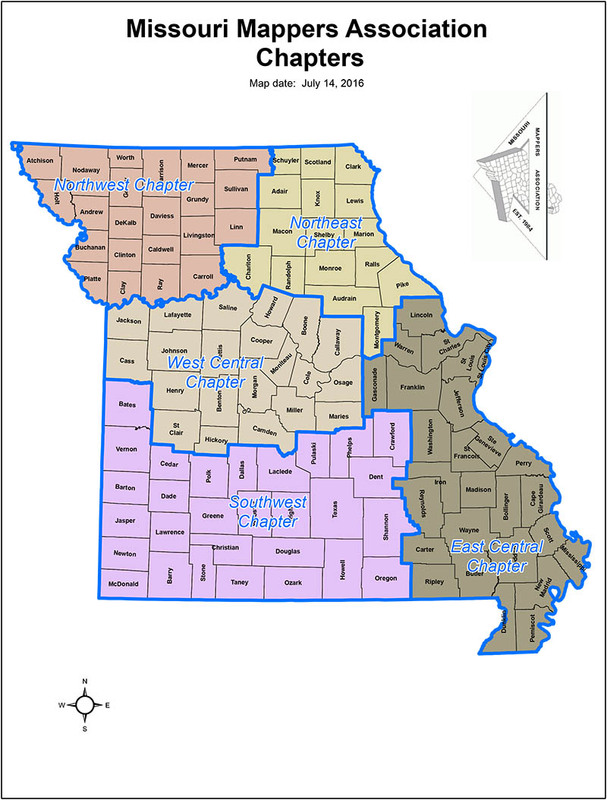 Chapters of the Missouri Mappers Association are identified by geographical area. Currently, MMA has five (5) active chapters: Northwest, Northeast, West Central, East Central and Southwest. The purpose of each Chapter is to bring together local members of the Missouri Mappers Association to share in common interest and host regional educational and industry-specific events throughout the year. Each Chapter has a chairperson that is designated to attend quarterly MMA meetings and report to the Board of Directors. If you would like to become an active member of your local Chapter, please contact your representative today! 2018 – 2019 Chapter Presidents See PDF for updated presidents!